This price is for a set of square three boxes. They fit into each other. 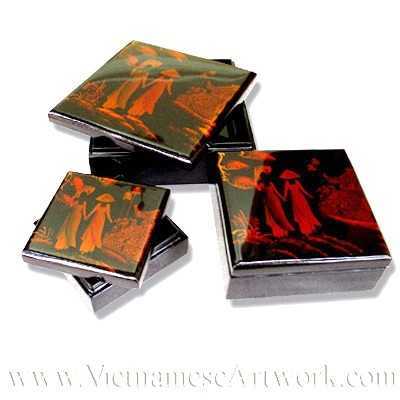 Black laquer with young vietnamese girls on the tops Small box: 3.8" x 3.8" x 1.5" Medium: 5"x5"x2" Large:6.2"x 6.2"x2.2"